FINANCE PACKAGES FOR ALL CIRCUMSTANCES. NIL DEPOSIT AVAILABLE. PART EXCHANGE WELCOME. DEBIT AND CREDIT CARDS ACCEPTED. 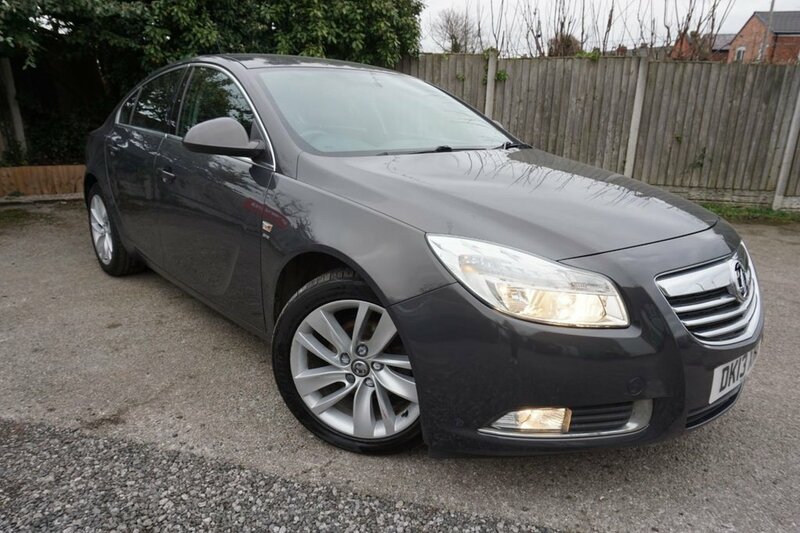 Here we have a very nice example of a Vauxhall Insignia 2.0 CDTi 160 SRi that looks superb in Graphite Metallic with a contrasting Charcoal interior. Service History., New MOT when Sold., 6 Speed Gearbox, Air Conditioning, Cruise control., Power Assisted Steering., Electric Windows, Electric Mirrors, Remote central deadlocking, CD Radio, Steering wheel mounted audio controls, Leather sports steering wheel, Automatic lighting control, ABS, ESP, Driver/Front Passenger airbags, Driver/front passenger side airbags, Reach + rake adjustable steering column, Electric height adjustable driver seat, Front centre armrest with storage compartment, Front and Rear Head Rests., 60/40 Split fold rear seat/load through facility, 3rd High Level brake Light., Tinted Glass , Body coloured bumpers, Body coloured door handles, Body coloured electric adjustable heated door mirrors, Front fog lights, 18 Inch Alloys.